Welcome to a fell village only a day’s journey from the Arctic Sea! 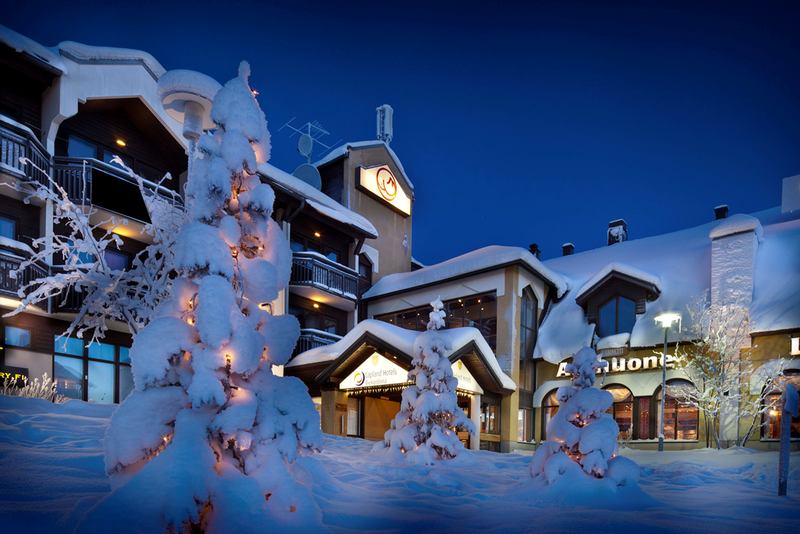 Known for its high standards, Lapland Hotel Riekonlinna provides versatile services for holiday-makers and conference guests alike. The range of accommodation includes quality holiday apartments. Our partner Lapland Safaris will take holiday-makers, or the participants in your conference, out to the nature trails and on various types of safaris. All the services you need are in one place. After the day’s excursion, you can pamper yourself with our Feelgood services or use our HealthEx gym. Our refurbished restaurant serves the best game dishes in Lapland and exotic catches from the Arctic Sea with an international touch. As many already know from experience, Riekonlinna, the northernmost conference hotel in Finland, will provide a successful setting for the most demanding meetings and conferences. Our Business Centre with its equipment and data links is also at the disposal of all our hotel guests.